IACIS requires each CFCE certificant to satisfactorily recertify every three years. The proficiency exercise is one element of the recertification process, which must be completed in the third year from the initial date of certification or last successful recertification. The proficiency exercise (an objective assessment based on a set of general knowledge questions from the CFCE exam) is solely based on the current CFCE Core Competencies . As of January 1st 2018 our recertification process has changed. All members should register via their member profiles, by clicking the Recert Now button contained in their profile. Click here to access your profile. The entire Recertification Application is now completed online. When you are ready to Recertify you must initiate the process via your member profile. You must have your 40 hours of continuing education credits prior to attempting to recertify. You may not attempt the Recertification Exercise until you have completed your 40 hours of continuing education credits and submitted a complete application. So there is no confusion: Prior to October 31st in the year your Recertification is due, you must have submitted a complete and valid application and have taken and passed the Recertification Exercise. The Recertification Period is open from February 1st through October 31st of every year. 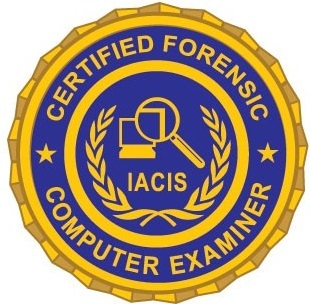 Each IACIS CFCE certificant must recertify in the third year following their original certification or last recertification date. By October 31st of the third year, 23:59 (GMT), the certificant must satisfy the recertification requirements as listed below. Each certificant must recertify every three years as outlined in the IACIS Certification Policy. If you have exercise specific questions (about actual test content) email recert@iacis.com. DO NOT POST TEST CONTENT QUESTIONS TO THE LIST SERV! All requirements must be met at the time of application to recertify. Members will be allowed one retest should they fail to successfully complete their first attempt at the Recertification Exercise. Members may only attempt two re-certification exercises in a calendar year. Should a member fail to complete the re-certification requirements and successfully pass the re-certification exercise by the second attempt or 2359 GMT October 31st their CFCE will expire. If you have not been a dues paying member at any time during your three year certification period, a fee of $150 must be paid to recertify. A requirement of Recertification is having paid dues for the three years your CFCE was valid. Non-Members may continue to recertify but must pay a fee of $150.